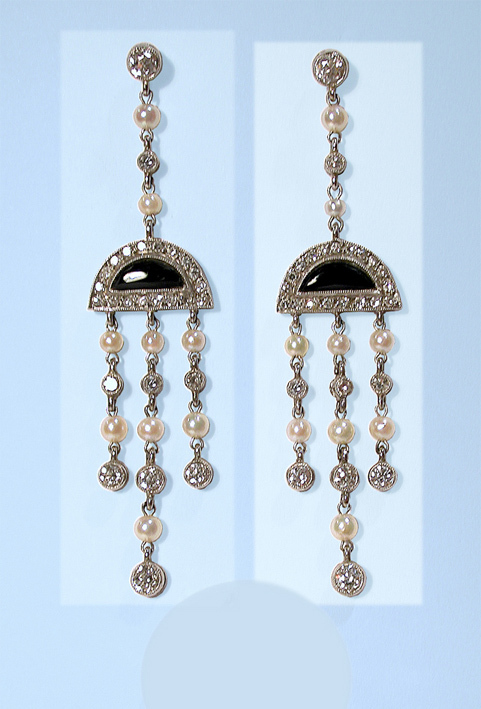 Superbly feminine in a way only Edwardian craftsman could design. 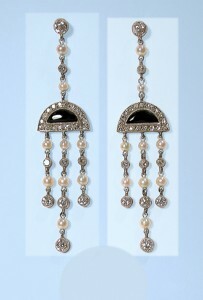 Drop earrings in platinum with Onyx, Diamonds and Natural Seed Pearls. Pieces like this are rare. Excellent condition.